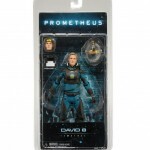 NECA has released a new photo of their upcoming Prometheus Series 2 figures. The new pic gives us a look at the finished versions of the android David and the xenomorph-like Deacon figures. These will be part of a 2-pack that includes the snake-like Hammerpede as well as the severed Engineer’s head. They are scheduled for release in February. NECA has tweeted out a photo showing a sample of their upcoming Prometheus Deacon figure. The pic gives us a look at the packaging layout for the blister card. Deacon is part of Prometheus Series 2 and ships in early 2013. NECA has tweeted out a few new photos of some upcoming figures. The new photos show prototypes and packaging samples. 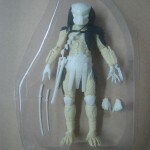 Included is the prototype and packaging layout for Predator Series 7 figures Big Red Predator (with new lower body articulation) and Masked City Hunter Predator. 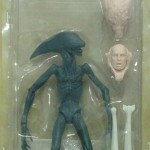 Also added is a photo of their Deacon creature head sculpt from Prometheus. 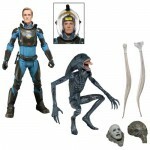 NECA has revealed a new prototype image of their upcoming Prometheus figure “Deacon“. That was the name given, by Ridley Scott, to the final revealed creature from the film. We previously saw the figure at NECA’s San Diego Comic-Con Booth. But this shows the figure standing straight up. 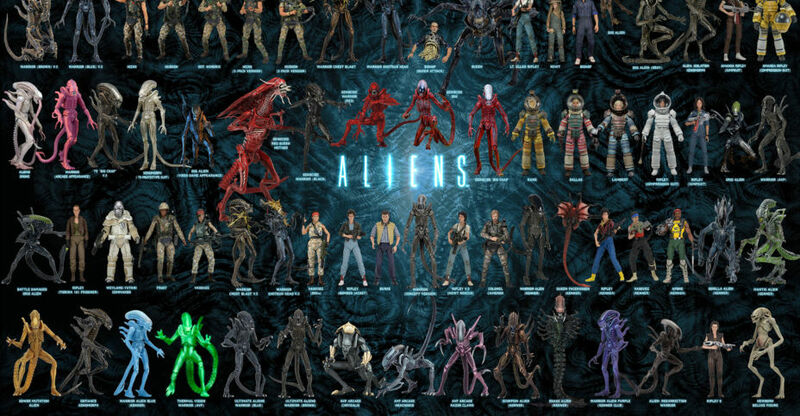 NECA fully unveiled their line of Prometheus toys at San Diego Comic-Con 2012. Some excellent looking figures here, featuring some of the best designs from the film.